Júdas greets you with a kiss of rock candy and caramel, concealing in his hand a sly and malty aroma of ripe fruit, plums and blackberries. Júdas never fails you at the easter dinner table and favors lamb, duck and turkey in particular. 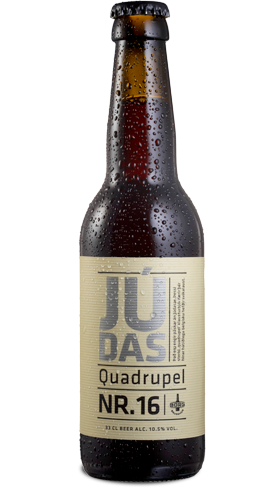 Júdas also has a trick or two up his sleeve when paired with cheeses like an aged Gouda or Ísbúi. You can always rely on Júdas. Ingredients: Water, malted barley, wheat, rock candy, hops og yeast.